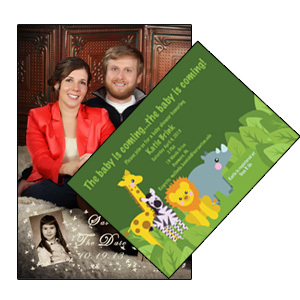 Rich Banick Photography is now offering Commercial Printing for all your business needs. No job is too big or too small! We have two in-house Graphic Designers that can design you and your business anything you need from business cards and brochures, all the way up to banners and signs. 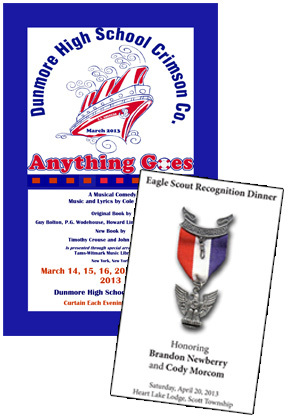 We can print your job for you right here in Dunmore! You may also submit your electronic files for us to output. We have a Xerox Fiery 700i Digital Color Press that allows us to print small jobs such as business cards or numbered event tickets, to large jobs such as 100 page programs or advertising posters. 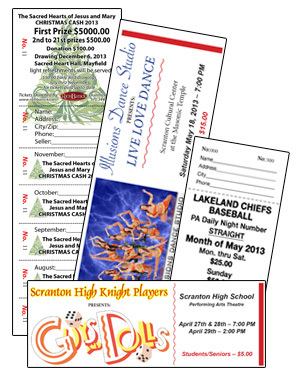 We can even print out postcards, brochures, fliers and more. Our Noritsu QSS-3202 Pro Digital Printer allows us to print your jobs on Photographic Archival Paper anywhere from 4" x 6" to 12" x 36". This is the same quality paper all of our photographs are printed on that are produced at our studio. We also have a Canon Image Prograph iPF8300 which allows us to print life size wall clings, indoor/outdoor banners, canvas prints and more. Check out the examples of jobs below and please call the studio to receive a quote on your next printing job. We can print all of your raffle tickets, show tickets and event tickets here in our studio. They can vary in size, be color or back and white and may also be numbered if need be. So before ordering tickets for your next school, church or sporting event, call us for a quote! 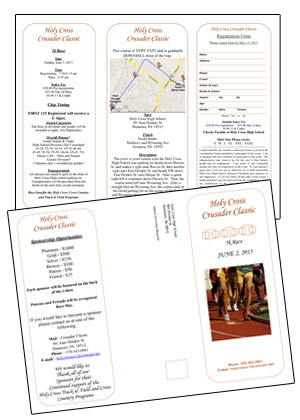 We can layout and print your event programs, up to 100 pages. They will come trimmed and stapled. They can range in size as well, and can be printed in color, black and white, or selective color on certain pages. We can layout and print your brochures. We even have the capabilities to print the names and addresses directly on each piece saving you the time and money of having to do it yourself. If you have a bulk postage number available we can include that on your brochures as well. 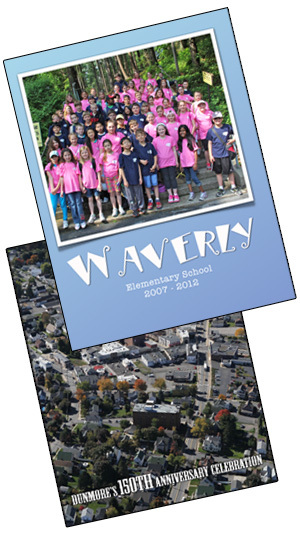 We can layout and print your school or community events booklets such as soft cover yearbooks and celebration guides. Each piece comes staples and cut and ready to hand out. we can bind and staple up to 100 pages. We can print your postcards and mailers with the names and addresses of the intended already on each piece. From engagements, weddings, baby showers and more. Mae your event truly special and save some work and time by having us print them for you.